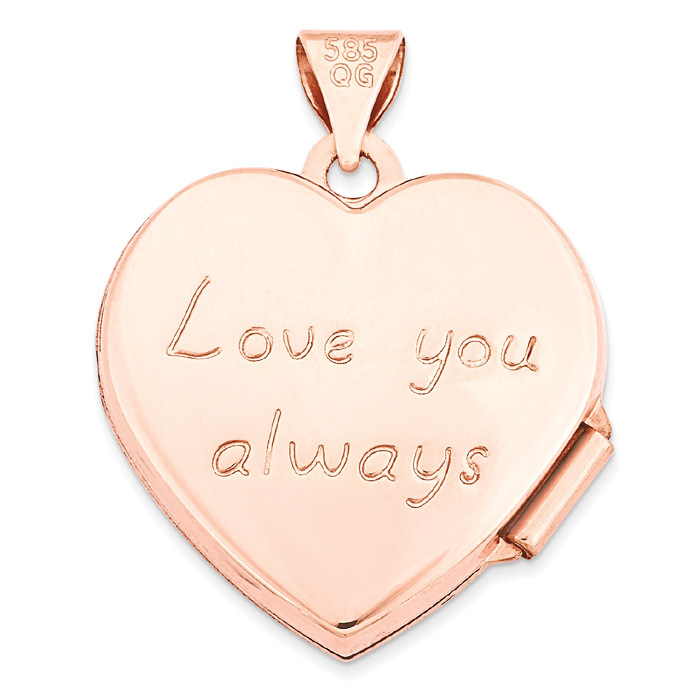 A 14k rose gold paisley design heart locket pendant opens up to fit two pictures inside and the words, "Love you always" engraved on the back side of the locket. 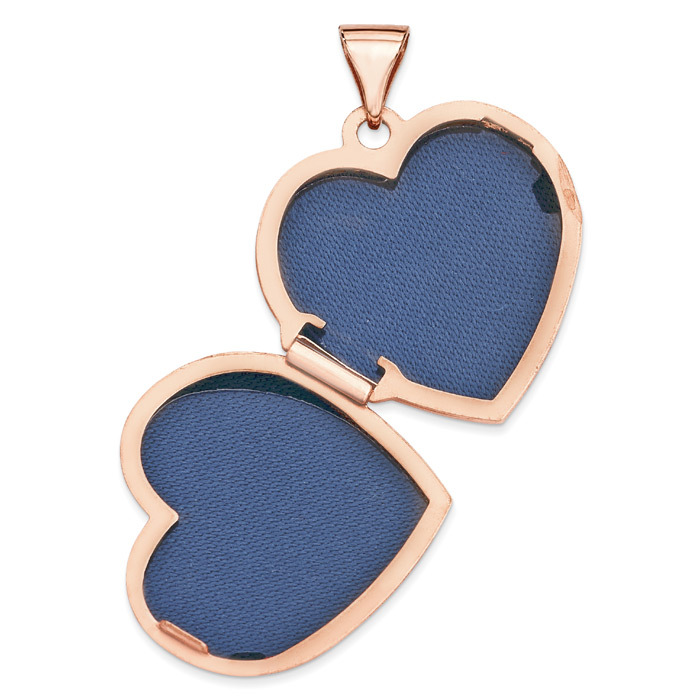 The rose gold paisley heart pendant measures just under 3/4" in size and approx. 0.86" tall with hoop/bale. The "585 GQ" on the back of the hoop is the guarantee stamp that this locket is 14k gold, followed by the manufacturer's jewelry hallmark. 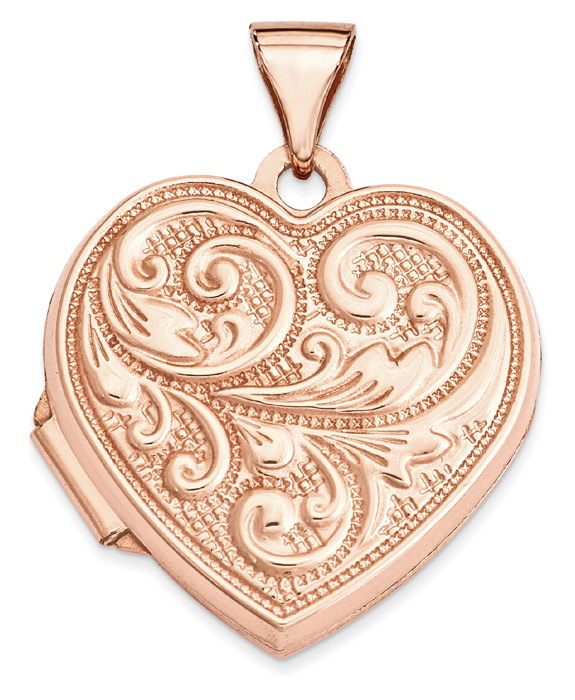 We guarantee our 14K Rose Gold Paisley Heart Locket Pendant to be high quality, authentic jewelry, as described above.